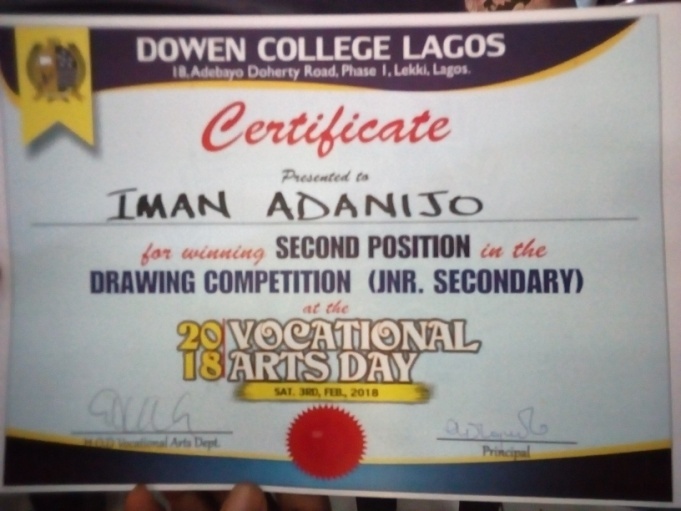 The Art and Design department received an invitation to participate in an Arts day competition which was organized by Dowen College in Lekki, Lagos. 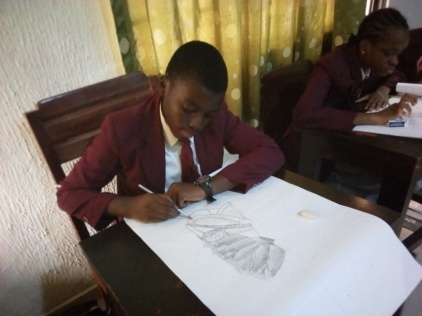 On the 4th of Feb 2018, the Art and Design department took 5 students down to Lekki to compete with 14 other schools in drawing competition, the students 2 girls and 3 boys (Oreofe Opeyemi, Ayodamope Osunkunle, Oseni Daniel, Oriselaju Jemide, Odeyemi Oreofeoluwa) in the company of their teachers Mr Tayo Adekugbe and Mrs Adeyemi attended the event. 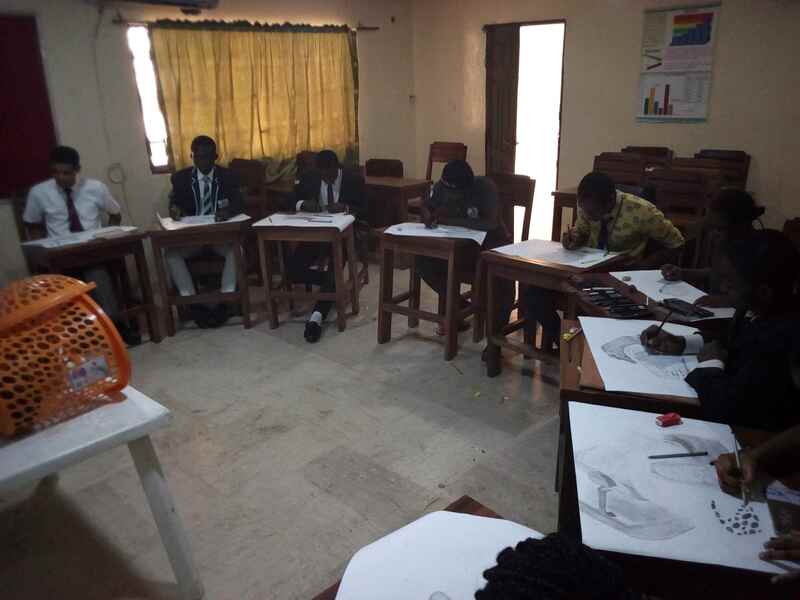 At the end of the competition Greensprings Schools came 1st and 2nd position in drawing for junior secondary category and they were awarded with a certificate (Ayodamope Osunkunle came 1st and Iman Adanijo came 2nd. Congratulations to the Art department and the student representatives who have indeed made Greensprings proud.